A conception of God’s beauty as expressed in the material world is a theme of items to be offered at auction from the collection of the Rev. Professor Peter J. Gomes ’65, at noon Saturday, March 24. The dining room at Oceanside, the home of Peter Gomes '65 in his hometown of Plymouth, Mass. The sale of the Gomes collection has been entrusted to Grogan and Co. Fine Art Auctioneers and Appraisers of Dedham, Mass. The 550-lot collection features a discerning array of 18th- and 19th-century American and English art, books and furniture from Gomes’ Harvard residence, Sparks House, and from Oceanside, his home in Plymouth, Mass. Gomes, who died Feb. 28, 2011, was the Plummer Professor of Christian Morals and Pusey Minister in the Memorial Church at Harvard. He was a famous preacher, bestselling author and beloved member of the Harvard, Plymouth and Bates communities. A passionate collector and historic preservationist who embraced the past as a touchstone for today, Gomes was a man who “cared about history in a way that was quite intimate,” said his Harvard faculty colleague Diana Eck last year. 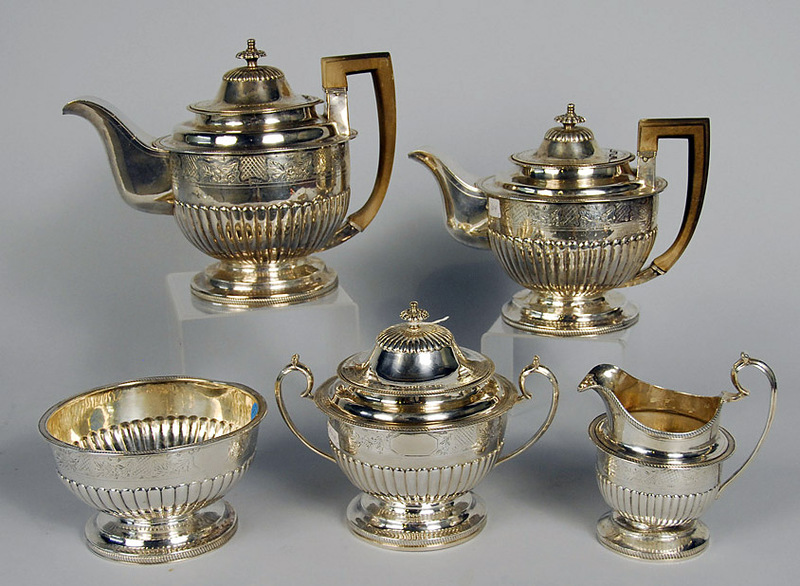 Peter Gomes '65 used this early 19th-century silver tea service to offer his famous Wednesday afternoon teas at Sparks House. “That sentiment, about seeing God’s beauty and about appreciating the minutiae of God’s work, is straight out of the Renaissance,” observes Nancy Carlisle ’77, senior curator of collections at Historic New England, the region’s venerable historic preservation and heritage organization. In 2005, she curated and wrote the catalog for Historic New England’s acclaimed Cherished Possessions exhibition and is the author of the book America’s Kitchens. Grounded in times and places of which Gomes was famously fond, the collection is hardly modern and hardly eclectic — but that does not mean he was a narrow collector, Carlisle says. Rather, suggests Carlisle, the Gomes collection reflects his “rootedness.” He surrounded himself with beautiful and historic things that “anchored him in the world in which he grew up and lived. What he collected he deeply appreciated both spiritually and intellectually. 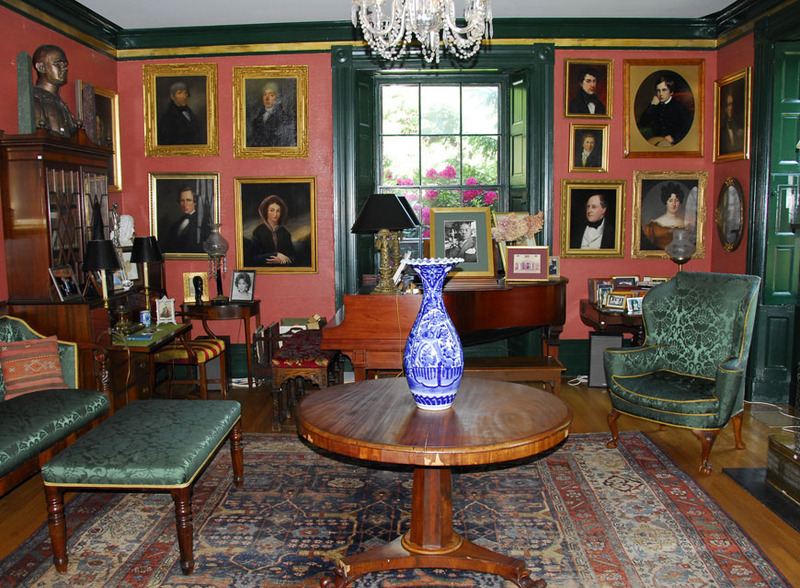 Seen here is Peter Gomes' living room at his Harvard residence, Sparks House. 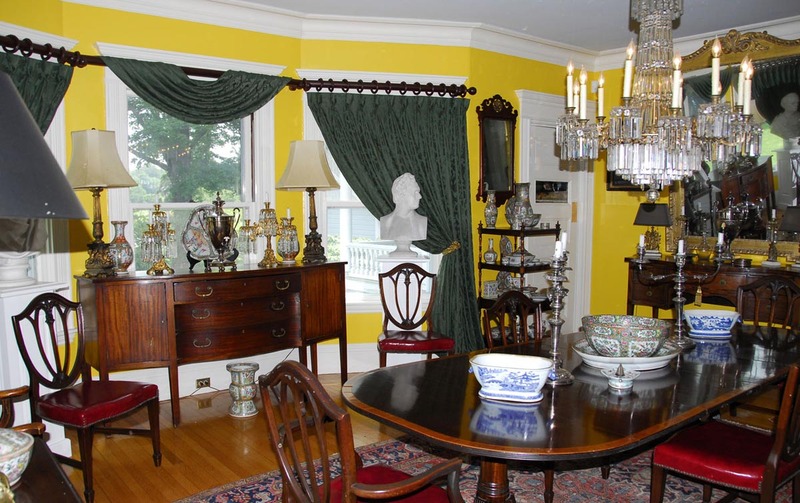 Items from Oceanside include a George III inlaid mahogany secretary bookcase; a 19th-century English School portrait of a gentleman reading New Monthly Magazine; and an extensive collection of Chinese export porcelain and Canton blue and white porcelain. In both residences, the Gomes collection boasts a large selection of English School and American School ancestral portraits and landscapes; 18th- and 19th-century English engravings of historical, theological and royal subjects; books focusing on similar themes; and numerous decorations, mirrors, chandeliers and lighting, garden furniture and statuary. This fall, Bates will celebrate the naming of the college chapel in memory of Peter Gomes. A former Bates trustee and recipient of the Benjamin Elijah Mays Medal, the college’s highest honor, Gomes included Bates as one of the beneficiaries of his estate. The auction exhibition opens March 21 and continues until the auction begins at noon March 24. Grogan and Co. is located at 22 Harris St., Dedham, Mass.